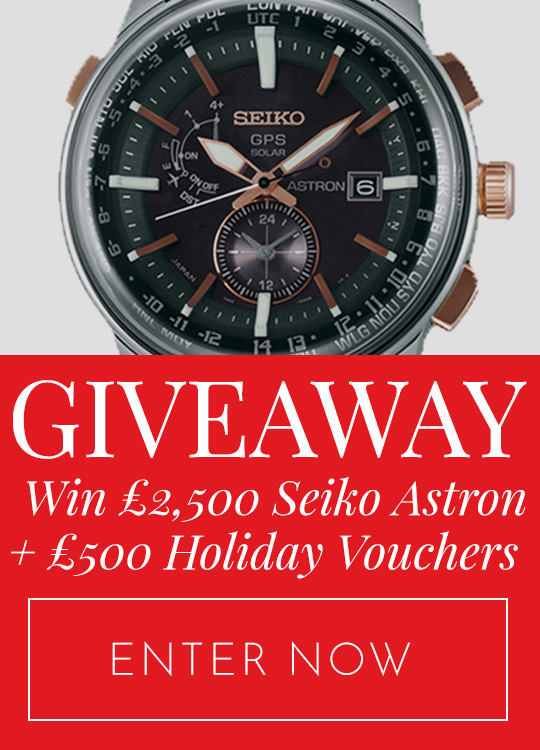 A pilot watch is a timepiece with the upmost accuracy, visibility and precision. 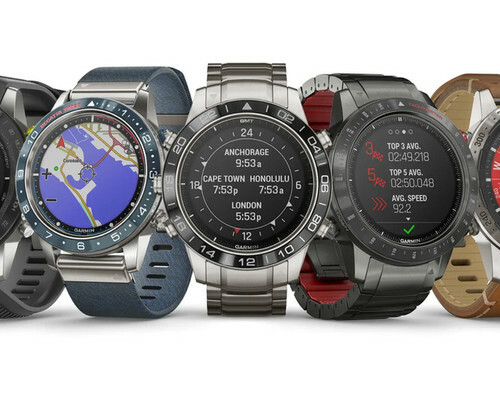 Ease of use and the ability to read the time in two differing time zones are features sought after from the pilot watch. Professional pilots, frequent flyers, and business men are those who seek watches with dual time zone functionality. Originally, this type of watch was designed with a large dial for the necessity of fastening outside of a coat or flying jacket and needed to be visible in a vibrating atmosphere. Inspired by traditional military aviation watches from the seventies with a particular focus on the model that Hamilton themselves designed for the Royal Air Force, allows for the brand to bring a nostalgic reference to the era whilst maintaining a contemporary appearance. Ensuring that the time is visible, the Superluminova hands provide readability for the wearer when light may be restricted. This technique allows for the hands and numbers (signified by strategically placed dots) to illuminate on demand; a feature, which is extremely useful after sunset. The two asymmetric counters ensure that the timepiece belongs to a modern time. Choose from either a leather, steel or Nato strap depending on your personal style. The variety of straps and casing material bring a different appearance and look to the timepiece. The injection of orange brings a contemporary style whereas the steel watch takes a classic approach. The varying five designs cater for differing tastes whilst remaining true to their purpose of precision, accuracy and legibility. The Startimer Pilot collection is a celebration of the brands aviation heritage taking time to revisit the strict requirements that was enforced as official suppliers and manufacturers of military watches. Of course, instant readability, anti-magnetic cases, precision and shock resistance were high amongst the requirements needed. The heritage model in particular is exquisite with the gold plated casing / markings and genuine leather strap resulting in a luxurious timepiece to honour the strong military connection. The diameter of the dial measures at a generous 41.5 mm for a clear visibility and immediate access to time. The leather strap is 21-18 mmm to provide a strong, solid grasp of your wrist. The face is constructed from a glare free sapphire crystal, which is scratch resistant and will not become damaged if accidentally caught; a vital feature, which if not thought out could affect legibility. With a power reserve of 46 hours and a water resistance of 5 ATM the Alpina Startimer Pilot Heritage Watch is a timepiece that is both functional as well as chic. The automatic chronograph watch is a powerful and well balanced masterpiece. The elegance of the Sinn 356 Sa Pilot Watch is due to the stylish design with a steel casing and bronze dial background. The black, concise numbering and layout of the dial is pleasing to the eye and systematically arranged. The steel bracelet strap allows for the casing to flow seamlessly into the fastening with a discreet hidden strap. In addition, to the polished design the Sinn watch is extremely practical with a 42 power reserve and full chronograph functions. The movement is protected from shock and magnetic influences, which can appear on a daily basis. Therefore, the comfort that your watch will not suddenly break is reassuring. The dial is complete with a day and date window conveniently placed at the 3 o clock mark. Other performance features include a scratch resistant sapphire crystal glass face with anti reflective coating, an electroplated and UV resistant dial, luminous dial features and a transparent case back. Influenced by the traditional pilot watches from the 1940s the timepiece pays homage to that era via sophistication and glamour. The Bremont watches Solo are available in two different dial variants – one carries a rose gold outer rim around the face and hands with matching numbers whilst the other remains in steel. Both watches are beautiful yet the matte gold detailing subtly makes a statement of luxury and allure. The beautiful chronometer is suited to individuals who desire an exquisite watch to adorn their wrist with an obvious yearn towards the yesteryears. The bracelet style strap adds to the luxurious feel of the delicate watch and finishes the overall appearance effortlessly. The legibility of the watch played a significant role in the design of the classic timepiece, which is extremely relevant with the subtle yet striking gold hands and markings. The Bremont Solo watch comes complete with a 43mm Trip Tick case, hardened to over 2000Hv on the Vickers scale to ensure that that the watch is over seven times more scratch resistant than the usual grade steel used. The water resistance level is stated at 100M, which is reassuring to note if accidentally the watch is plunged into water. The Luminox 5240 series is the latest arrival to the XCOR Space Expedition series. Framed in brushed titanium the craftsmanship and thought process allows for this model to be suitable for space conditions. The timepiece is light enough to not be confused during a powerful take off and landing into the exciting unknown. Yet can resist and understand the stresses of space travel with it’s rugged demeanour. The time is clearly stated by an Analogue display to ensure that pilots can instantly know the time in a frantic glance combined with the digital window, which provides accuracy. The well thought out model is designed to accommodate a second time zone/GMT function – a requirement for aviation and space flight. The Luminox Watch XCOR Space Expedition watch also features a countdown timer, a chronograph with split function, an easily operated alarm and is water resistant to 100 meters. The slick, masculine timepiece in a combination of titanium and leather is a desirable watch for those who prefer a quieter life than zooming into space. The stylish design is easily adaptable to everyday living and the adventurer inside you. 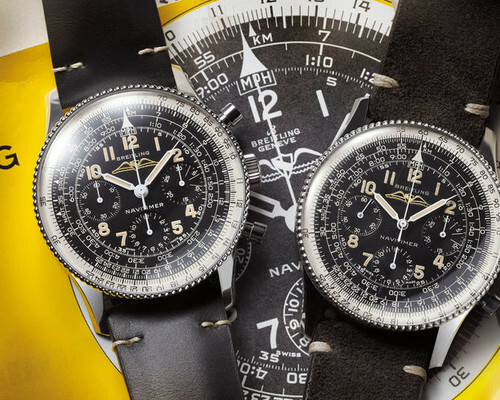 The pilot models look back to the early German aviator and Friger watches. The inspiration provides a classic and timeless design to adorn the wrist. The prominent, large markings allows for the time to be easily visible and instantly legible, which is a familiar trait of pilot models. The silver hands, numbers and markings stand out against the black background avoiding the wearer to have to strain to see the time. A watch face that measures at 42mm allows for space to place the markings without becoming cultured and untidy. The face reads as an organised, methodical and simple design, which is clearly marked with the Archimede brand. Ultimately, the Archimede 42 Automatic Pilot Watch is bold, clear and stylish for the modern man. The steel casing is either complimented by a chocolate brown or black leather strap depending on which an individual prefers. With a water resistance of 50M the timepiece is able to withstand being emerged in water yet is not ideal. The watch packaging is a sophisticated black case with a white lining and padded area to support and protect the watch. Offering a simple yet bold elegance the TW Steel Pilot collection consists of watches that merge both classic and contemporary ideas. The striking, vivid blue dial dramatically stands out and demands attention for it’s unique colouring against the rose gold frame matching the markings of the tachymeter. The large, bold numbers add character to the timepiece and are obviously scaled in size to enhance readability. The chosen white colouring of the numbers allows for the markings to be prominent for visibility and adds to the masculine design. The rectangular, rose gold and white hands again are highly legible against the royal blue background situated in the centre of the 3 inner dials.The date is positioned to an angle between numbers 4-5 to inform of the date at a glance. The leather strap is navy blue, which is carefully stitched and fixed with two aesthetically pleasing rose gold studs. The contemporary timepiece can withstand 50MM water resistance and has a dial, which measures at 48mm. The TW Steel Watch Pilot Rose Gold Chronograph 48mm is also available with a black dial and leather strap for a more classic approach to design yet both are equally stylish to wear to compliment your personal fashion tastes. U-Boat watches are recognised as having a bold, aggressive and oversized approach to watch design. The timepieces combine force and style taking inspiration from the personality of Italo Fontana – the man behind the revival. The U-Boat Watch Flightdeck 45 CAS BE continues their legacy in the watch design world with a stylistic adaptation of a traditional pilot watch. The strong, steel casing with the engraved brand name to the right frames the sophisticated dial complete with a cream background and classic, subtle numbering. 3, 6, 9 and 12 are enlarged to give point of reference with 12 and 6 being obstructed by the inner dials however, the numbers are easily identified due to their positioning. The date display is positioned at 9 o’clock and framed by the branding information. Complete with brown hands and markers to give a classic, traditional feel to the timepiece are chosen as a perfect contrast to the cream colouring. The leather deep tan alligator strap is punctured with symmetrical holes for a unique design finish. The highly resistant crystal sapphire glass and water resistant levels of 100m ensures that the U-Boat Watch Flightdeck 45 CAS BE is practical and strong as well as sophisticatedly designed. Since 1953, Glycine has produced the Airman, which became legendary for inventing multiple time zones in the watch market. 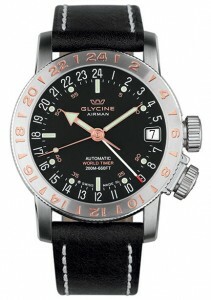 The Airman 17 successfully combines the significant features of Glycine world time watches created over the last decades. A particularly notable feature of the 17th Airman generation is the technically extensive setting crown at four o’clock, which allows for the ratchet bezel to be blocked if desired. This enables for the second and third time zones to be set easily and ensures that the set position remains unchanged. The motor element is a movement cal. GL293, which is finished to perfection. With attention to detailing the Glycine Watch Airman 17 uses noble materials, state of the art technology and exquisite design features to produce a masterpiece. The leather strap fastens neatly with a buckle and has a steel casing to frame the dial. The variety of designs include a beautiful 18ct pink gold bezel with a royal blue strap and dial, orange markings against a steel and black combination or a blue and silver option depending on personal preference. Each design brings a powerful, masculine and innovative design to the market. The Khaki X-Wind Automatic debuts as the first drift angle calculator found in a watch platform. A feature which allows for pilots to precisely calculate and accurately record the crosswinds they will encounter during a planned flight. The results are extremely important to ensure that a journey runs smoothly and is also useful for those who require to navigate their way on foot. The exquisite Hamilton timepiece becomes the perfect co pilot providing exact information to rely on. The accuracy, reliability and function is met with a stylish, masculine finish. The beautiful rose gold markings and casing compliments the black leather strap and dial resulting in a spectacular masterpiece. The white markings contrast against the black background for visibility and a stylish touch. The date, day and time are easily read at the left with inner circular dials at the centre and right of the watch face. The strong and powerful presence of the Khaki X-Wind Automatic is worn with pride when fastened on the wrist. The luxurious piece is also available in various silver and black combinations with either leather or steel straps. The variety allows for individuals to choose their particular preference.